Our versatile produce choice for this month provides a whopping 30% of Vitamin A in the U.S. diet. They were originally hues of yellow, purple and white. It wasn’t until the 17th century when high amounts of beta-carotene were incorporated resulting in its best known color … orange. This was done in honor of the House of Orange, the Dutch Royal Family. You may have guessed it, carrots are our “Harvest of the Month” for December. So while you are having a meal on a break during the workday, please sample one of the tasty menu items that feature carrots throughout our CHI retail settings. How to Buy and Store: When selecting fresh carrots, choose ones that are bright in color, firm, smooth and free of cracks. Store carrots in the refrigerator tightly wrapped or in a sealed plastic bag for up to two weeks. Don’t store them close to pears or apples – they will cause the ripening process to speed up. How to Prepare: Serve carrots raw, shredded to include in a salad, or try baby carrots as a snack. You also can cook them in a variety of ways to serve as a side dish. There are many child-friendly recipes that include carrots, so be sure to check them out. In fact, carrots are often one of the first pureed vegetables that babies will try and enjoy. A kid-friendly suggestion is sliced carrots and celery with their favorite dressing for dipping. As a side dish, children often like some type of glazed baby carrots because of their sweet flavor. And of course, who can pass up a delicious piece of carrot cake or a scrumptious cupcake with cream cheese frosting? 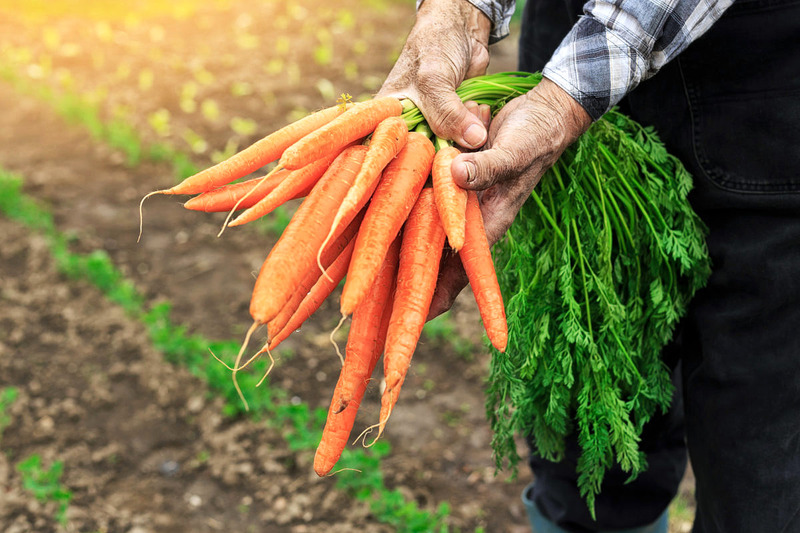 Carrots have multiple nutritional benefits to offer. They are an extraordinary source of Vitamin A and are best known for the anti-oxidant properties in the form of beta-carotene. Research studies have demonstrated the benefits of eating carrots include eye health and cardiovascular health. Carrots are also known to have cancer-protective properties. Baby carrots are not a specific type of carrot, but immature carrots or sections of larger, thin carrots cut into pieces. The longest carrot ever recorded was 16 feet, 10.5 inches. The heaviest carrot ever recorded weighed 19 pounds.